Global Partnership for TeleHealth is in need of specialty services in the areas listed below. If you are interested in providing these services or know of someone who is, please contact GPT's office at 912-285-0902. Georgia Partnership for TeleHealth (GPT) wants to celebrate Valentine's Day with you by discussing matters of the "heart". Heart disease and stroke make up the top two leading causes of death in the world. The World Health Organizations (WHO) states that 14.1 million deaths worldwide can be attributed to heart disease and stroke in 2012 a significant increase from 2000. Telemedicine can play an important part in lowering these numbers by giving access to primary care physicians as well as cardiology specialist and neurologists who treat stroke patients. Georgia Partnership for TeleHealth has a distinguished stroke portal allowing neurologist to connect directly to rural hospitals and diagnose stroke patients via telemedicine. Telemedicine can assist in earlier diagnosis of heart disease through regular visits to primary care doctors as well as specialty visits to the cardiologists in the network. 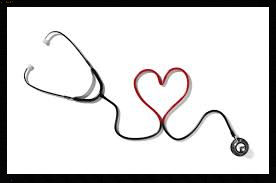 GPT currently has two cardiologists in the network for you to connect to: Northeast Georgia Health Systems Heart Center, and Southeastern Cardiology Consultants. If you are in need of cardiology services via telemedicine, please reach out to your nearest presenting site or GPT's office at 866-754-4325. 2015 National School-Based Health Care Awareness Month is Here! February is National School-Based Health Care Awareness Month. This year, The National School Based Health Alliance will shine a light on how school-based health centers (SBHCs) provide access to the health care services that students need to succeed. Poor academic outcomes and high dropout rates are major concerns of educators, policy makers, and parents alike-and poor health severely limits a child's motivation and ability to learn. SBHCs provide an optimal setting to foster learning readiness and academic achievement while giving children the resources they need to improve their health. On February 25, The National Alliance will host a Congressional briefing that will focus on how school-based health care contributes to student success, and what a successful partnership between the health and education sectors looks like. Stay tuned for more information on the briefing, and how you can get involved. Do you have plans to celebrate awareness month in your community? If so, reach out and let us know by sending an email to ktaylor@sbh4all.org. Sign up for the Certified Telemedicine Clinical Presenter or Certified Telehealth Coordinator today by visiting the National School of Applied TeleHealth website. The Southeastern TeleHealth Resource Center serves as a resource to health care providers, health systems, clinics, long term care facilities, schools, government agencies and others interested in providing telehealth services for the rural and underserved in the region. SETRC's coverage area includes Alabama, South Carolina, Florida, and Georgia and is operated by Georgia Partnership for TeleHealth, Inc., Georgia's successful nonprofit statewide telehealth network. Georgia Partnership for TeleHealth (GPT) is excited to be hosting Doctor of the Day at the Georgia State Capitol On February 24th. 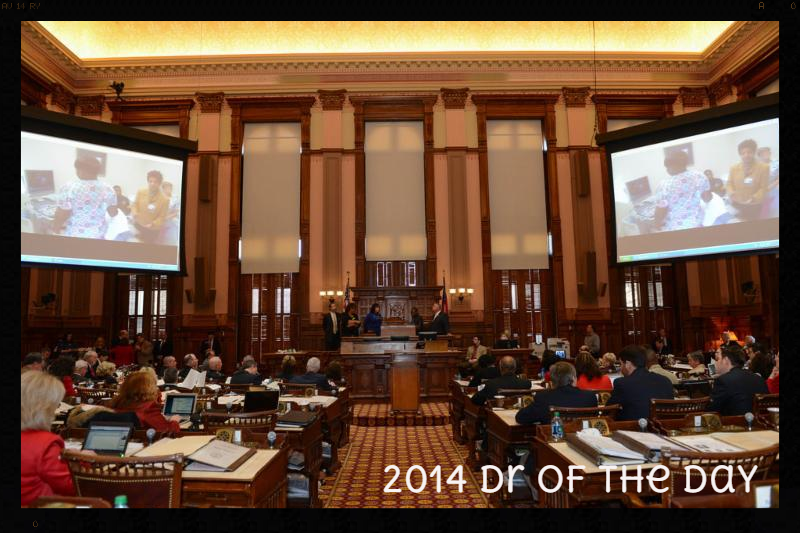 GPT is honored to be a part of the legislative session's Doctor of the Day program showing elected officials the benefits telemedicine has on healthcare in Georgia. GPT will connect the Georgia Senate and House of Representatives to Tift Regional Hospital to focus on Georgia's school based telemedicine clinics and how they can change students' lives. GPT will also preview a premier project with the State showcasing telemedicine usage within ambulances. If you are interested in watching the presentation live you can do so on the Georgia General Assembly's website at www.legis.ga.gov or in person from the Senate or House balcony inside the chamber. 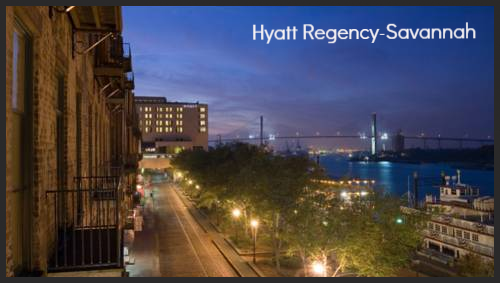 Georgia Partnership for TeleHealth is excited to be holding its 6th annual telemedicine conference on March 25th - 27th at the Hyatt Regency in Savannah Georgia. "Telemedicine: It's Here, It's Now" is the 2015 conference theme and will bring together dynamic speakers discussing new technology and new opportunities within Health IT and Telemedicine. If you are interested in registering for the conference, CLICK HERE or call GPT's office at 866-754-4325. GPT will also offer sponsorship opportunities at a Platinum, Gold, and Silver Level. Please CLICK HERE to access the sponsorship information. Georgia Partnership for TeleHealth is excited to be offering a grant writing workshop in addition to the GPT 2015 Annual Conference on March 25th from 1:00pm to 5:00pm. 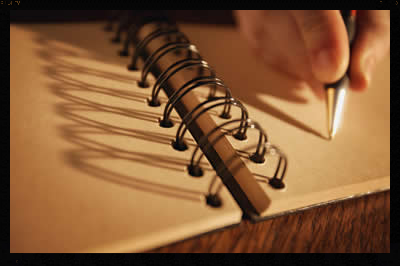 This workshop will discuss tips and tools to apply for grant funding. There are a limited number of seats for this exciting workshop so be sure to register soon! Those especially interested in the School Based Telehealth Clinic grants are encouraged to attend as there will be specific insight into school funding sources. If you are interested in attending, please reach out to GPT's office at 866-754-4325. Georgia Partnership for TeleHealth (GPT), a charitable nonprofit promoting the establishment of telemedicine programs in communities throughout Georgia, announces its newest partner, Abraham Baldwin Agricultural College (ABAC), a State College of the University System of Georgia located in Tifton. ABAC will be the first college campus in Georgia to house a telemedicine clinic in addition to their existing campus health clinics and further strengthens GPT's telemedicine network within the state. Tift Regional Hospital is also very invested in the program as the ABAC's primary partner. Tift Regional and ABAC recognized the importance of telemedicine for ABAC's students as well as ABAC's School of Nursing & Health Sciences nursing program curriculum. The new telemedicine clinic allows students to see a physician at partnering Tift Regional Medical Center when the college's nurse practitioner is not available on campus. The program will also give the clinic nurse the opportunity to present students for specialty care appointments. The next phase of the telemedicine clinic will incorporate telemental health into the student services and counseling centers and give students access to psychiatrists in GPT's extensive network. "This technology will mean a lot for our counselors on campus," says Tammy Carter, ABAC's rural studies professor and a key advocate for creating the program on campus. "With students, you can recognize a problem and refer that student to a psychiatrist or specialist, but they may not have the ability to get to that doctor. The new telemedicine program at ABAC will allow the continuity of care and medication management if needed." The introduction of telemedicine into the nursing school curriculum will provide enhanced clinical experiences to students by connecting them with real patients at Tift Regional Medical Center via new skills lab equipment. Students will also be able to use the equipment to broaden their telemedicine training with guest lectures and webinars. Upon graduation from the nursing program, each student will be a certified telehealth presenter. "If you want to talk about serendipity and things happening for a reason, this telemedicine project would be it," states Troy Spicer, Dean of ABAC's School of Nursing & Health Sciences. "Tammy was leading a rural studies call and asked Loren Nix from GPT to come in to talk to the students about telemedicine. After the class ended I overheard Loren discussing with Tammy having telemedicine at ABAC and in the nursing program. That conversation lead to the groundbreaking things we are doing with GPT at ABAC today. Our program is in its infancy stage and is already the first of its kind in the state. With a little more time and minimal effort, I know this program could change the lives of students and the learning environment even more than it already has." If you are interested in learning more about bringing telemedicine to your college or university, please reach out the Georgia Partnership for TeleHealth . 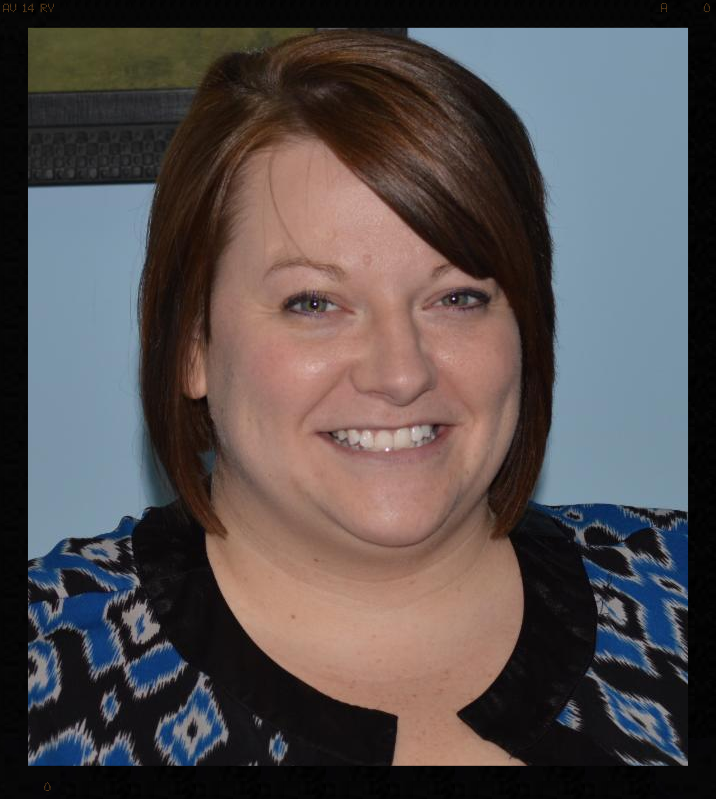 Initially hired as a scheduler, Samantha Wainright Haas has been a part of the GPT team since July 2011. 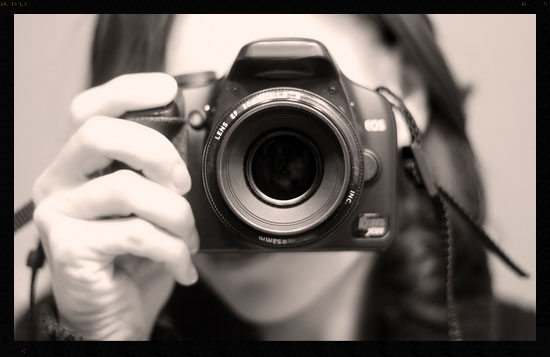 She was soon transitioned to the marketing team as their primary graphic designer. Samantha is gifted in creating beautiful marketing material as well as partnership logos and all conference materials. She graduated from Valdosta State University in 2009 with a BFA in Fine Arts studying graphic design. In 2012, Samantha married the "love of her life" Rickey Haas. Since their marriage they have been avidly working on restoring Samantha's grandparent's old home while also filling it with plenty of antiques to satiate Samantha's love of antique shopping. Samantha has accomplished all of these things while also dealing with a spinal cord injury since the age of five. After a severe farming accident, Samantha was left paralyzed from the waist down and has been in a wheelchair for 24 years. She has not let this incident hold her back in the least and has experienced water skiing, surfing, and international travel. GPT continues to appreciate the great things Samantha accomplishes on the job as well as in her personal life. When you check out GPT's marketing material (like this newsletter) think of the great and beautiful things Samantha does for GPT. Georgia Partnership for Telehealth announces that seven additional elementary schools in Bradley County, Cleveland City and Polk County have received Telemedicine equipment and procedures through the Telemedicine Venture Grant awarded by the United Way of Bradley County in 2014. These additions bring the total up to eleven schools in the area that can participate in the telemedicine program to connect to the Ronald McDonald Care Mobile, a mobile school-based clinic. The program expansion will allow students in multiple locations to be seen in the same day versus having to wait until the Care Mobile is scheduled to visit their school. 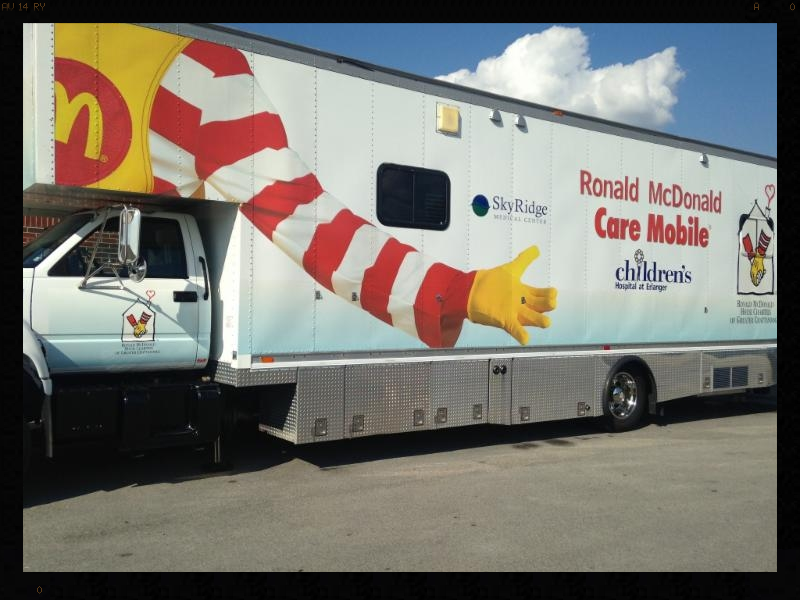 Ronald McDonald Care Mobile is funded and sponsored by Children's Hospital at Erlanger, Ronald McDonald House Charities, United Way of Bradley County, Coordinated School Health of Bradley County/Cleveland City/Polk County Schools, and Skyridge Medical Center. Services provided include acute sick care, prescriptions and over-the-counter medications, asthma treatment, sports physicals, well-child exams, and vaccinations. In addition to delivering care to students with Tenncare and commercial insurance, they also offer services at no cost to the uninsured. "In January 2012, the Ronald McDonald Care Mobile began providing health services to at-risk students at three Bradley County school sites and served over 364 students during the spring semester," said Sherrie Williams, Executive Director, Georgia Partnership for Telehealth. "The program has grown tremendously over the past three years, treating 1,478 students in the 2013-2014 school year. In addition to direct patient care, they participated in health-related fairs and school events in county and city schools. Services have expanded and include a rotation between two Bradley County schools and two Cleveland City schools." The Care Mobile clinic is staffed with a nurse practitioner under the direction of a pediatrician based at Children's Hospital at Erlanger. Despite the expanded coverage, nurses serving individual schools continue to see over 80,000 students each year in school clinics. The demand for the Care Mobile services is growing; however, the logistics of the Care Mobile being in more than one place at a time does not meet the demand for services. Georgia Partnership for TeleHealth has worked diligently to make this mobile unit successful. This program is efficient and effective in giving students the best access to local healthcare and specialists outside their local area. The school nurses also benefit by having access to support as well as the ability to present students with more advanced care, adding value to the school nurses' everyday patient encounters.